Iranian-backed militia Hezbollah has lost access to its accounts to Twitter and Facebook without notice, according to the group. The Lebanon-based movement accused the U.S. social media platforms of waging an “anti-media campaign” against them in a post on the Telegram account Central Military Media, urging followers to flock to back-up Hezbollah-affiliated accounts. The movement said the significance of its social media operation to the general running of its political activities is what motivated the closure. The alleged shutdown comes a day after a Hezbollah social media account published a new video showing the kidnapping of Israeli soldiers Ehud Goldwasser and Eldad Regev in 2006, according to Israeli news outlet Ynet News. The Twitter page which published the video is still active, casting doubt over whether the clip played a direct part in the clampdown of the group’s social media presence. Hezbollah and Israeli forces in Syria raised fears of an impending large-scale clash, as the Israeli air force has stepped up strikes on Iranian-backed militias in recent months. A report from The Syrian Observatory for Human Rights allayed some of those fears earlier this month, when it reported Hezbollah and allied militias have pulled back from the border between Israel and Syria. 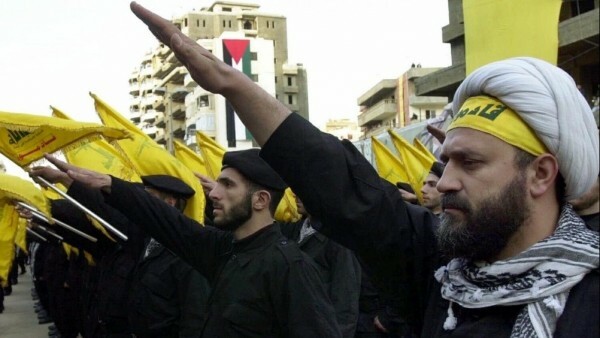 Hezbollah is highly influential in Lebanon, operating as both a political party and a militia. While it was involved primarily in conflicts with Israel in the past, Hezbollah is currently preoccupied primarily with the Syrian civil war, where the group has intervened in support of the regime in Damascus. The U.S. Department of State and the European Union officially regard the group as a terrorist organization, but Hezbollah plays a key part in Lebanese politics, with ministerial portfolios and significant presence in parliament. If true, the alleged shutdown would be the second time Hezbollah’s Facebook account has closed in as many years, after Facebook blocked the page at the end of 2017 but later reactivated it, Al Masdar News reported. At time of writing, neither Facebook nor Twitter have issued a statement addressing the group’s allegations.